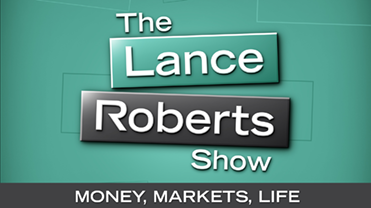 Welcome to the Lance Roberts Show. After 18-years on radio, the show has gone “digital” bringing you the financial and investing information you need to manage your money. Finally, news that makes sense. Lance digs into the raw data to bring a unique perspective to the conversation. His deep understanding of economics, markets and how investing really works helps listeners their goals. Tune in now and start your path to investing success. Financial Myth Busters: When Best to Take SS? RIA Advisors Chief Investment Strategist Lance Roberts with author Jonathan Tepper on "The Myth of Capitalism"
Does Capitalism Need to Be Reformed?